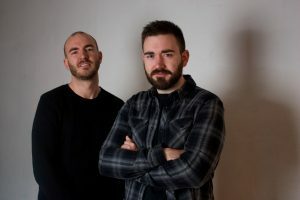 Eoghan Flynn chats with Richie Martin from Irish folk duo Cry Monster Cry about their new album Rhythm of Dawn and the process behind its creation. Waking up to the sound of rain can be a comforting, but also sometimes extremely irritating, experience. It’s all well and good when you plan to use the typical Irish weather as an excuse to stay in bed and binge watch a recently discovered season on Netflix; however, when you have to wake up early and battle through the elements to make it to your 9am lecture, well, that’s the latter experience. So, when I woke to the sight of rain on the morning of my interview with Richie, it was an extremely irritating experience. Luckily, after the pain of my morning lecture, my interview with Richie, who together with his younger brother Jamie forms the Irish folk due Cry Monster Cry, quite literally brightened up my day (clouds parted to reveal a beaming sun shortly after it). Their debut album, Rhythm of Dawn is a transitional album. “It’s an album about hope and about the magic that comes from a new day. When you are waiting for the sun to rise, that sort of golden hue that comes into the world. It’s all about reflection, the excitement of what’s around the corner”. Taking the duo a year and a half to write and record, Richie and Jamie spent time making sure that each song sat well in the sequence of the album. This led to a cyclical piece of work that takes the listener on a beautiful journey from night to day. On asking about what influenced their decision to pursue a career in music, Richie transported me back to their childhood. “I suppose it kind of stemmed from our backgrounds and where we grew up”. From a young age, the brothers were surrounded by music. Richie noted how their earliest memories were those listening to their parent’s music at home and in the car. “We listened to everything under the sun. We were both born in the 80s so I was heavily influenced by Michael Jackson and that sort of 80s’ pop scene … Anything that was being played on the radio, we were just always obsessed with”. Throughout the years, the brothers have gone to a countless number of Irish gigs, seeing acts like Mic Christopher and Glen Hansard perform live. When they were four or five, their parents insisted that they begin to learn musical instruments. Richie learned violin while his brother played the piano. Their passion for music became stronger and they soon discovered that they could make money by doing something they loved. Hence the formation of Cry Monster Cry. “Originally, Cry Monster Cry was only supposed to be this little project, taking folklore and stories that we’ve been told and putting music behind it. It’s evolved into something else”. The brothers attempt to maintain the rich history of storytelling in Irish culture with their music. 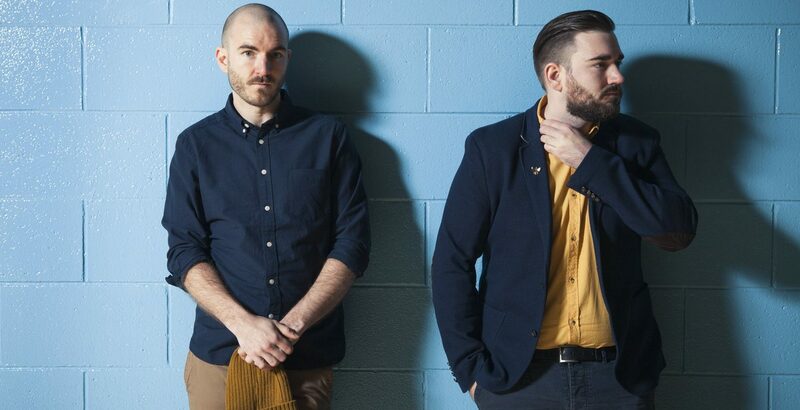 The duo’s ambiguous name, Cry Monster Cry is inspired by the story of The Boy Who Cried Wolf. When brainstorming ideas for a band name, Jamie was studying children’s fairy tales and folklore in university, and this was the tale he was studying at the time. However, Cry Monster Cry has a deeper meaning for the two brothers. “It’s meant to be that everyone walks around the world with this kind of monster hidden inside them. We kind of put our best foot forward in society and we never want to shield the true person we are from the outside world”. The band’s lyrical stories are combined with a large variety of musical instruments and sounds. The majority of instruments featured in Rhythm of Dawn were played by Richie and Jamie: “We like the idea of doing as much of it ourselves [as we can]. That’s the way we enjoy working, instead of bringing in other musicians. We like to have a go at it ourselves and see how we get on with it”. It is a time-consuming process but certainly a “cool way to work”. In regards to making music with a younger sibling, Richie remarks that “some days it’s great and some days it can be a pain in the arse”. Coming from a family of sisters, Richie and Jamie were always close. The duo enjoys the moments shared together as brothers. “I think that as siblings you understand things a bit more. You’re closer than you would be if you were just doing it with a mate or somebody else”. Last December, the two brothers shared the experience of Other Voices in Dingle. Having performed on the music trail the year before, Cry Monster Cry were invited back to do the Other Room. 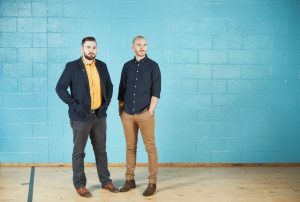 It was an “absolute dream come true” for the folk duo, considering they were fans of Other Voices since it began when they were only 14 or 15 years old. “I remember watching it and I was thinking ‘Oh my God, this is amazing!’ They have such incredible Irish acts on it all the time and I remember wanting to be on that stage in front of those people, part of that.” Performing is of great importance to the band. In fact, it’s that connection with an audience that acts as a driving force for Cry Monster Cry to continue making music. However, that connection is not easily sought: “I think that if you’re lucky enough and you work hard enough at your craft, you should be able to create something special on a stage or in a room where you’re taking that audience away from their mundane lives or whatever’s going on with them … I really enjoy this idea that we’re all in it together and we’re going to go and enjoy ourselves for the next hour or two”. Towards the end on my interview with Cry Monster Cry’s Richie, he shared advice to those who wish to begin a career in music: “Just don’t take no for an answer and always, no matter what happens, keep playing music … As long as you’re creating and just believing in yourself, that’s the most important thing”. Talking to Richie and learning about how Cry Monster Cry view their craft and their life in general was quite refreshing to hear. The name Cry Monster Cry can be interpreted as an instruction of sorts directed towards our inner selves. We must not conceal our innermost thoughts and feelings. After listening to Rhythm of Dawn, there is a certain energy felt from knowing that no matter how difficult a day may be, the sun will always rise the following morning, bringing hope for the coming day.